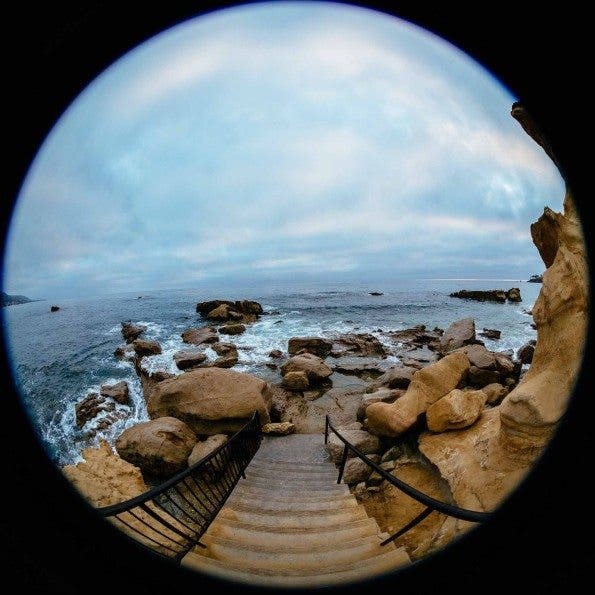 Circular fisheye lenses are a rare breed in general, there just aren’t that many of them out there. 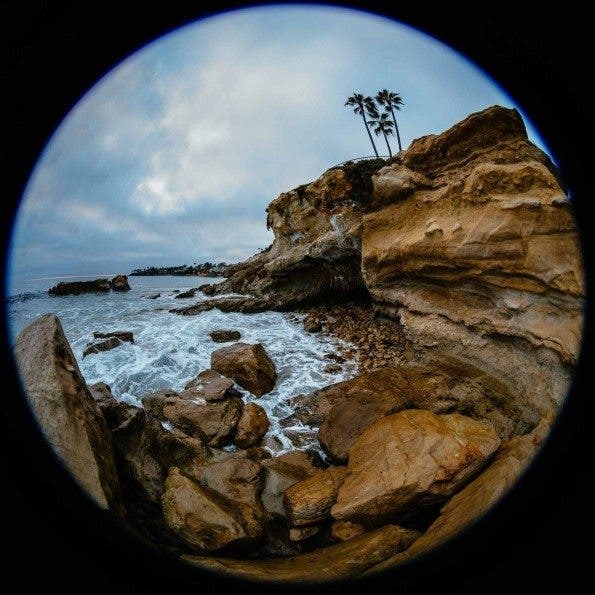 These types of lenses are highly specialized and as such, not everyone is going to have a use for them, but for those that do, this is a reasonably viable option for creating some pretty wild images. I had a chance to spend a few weeks with this lens which presented a whole new set of challenges for me. 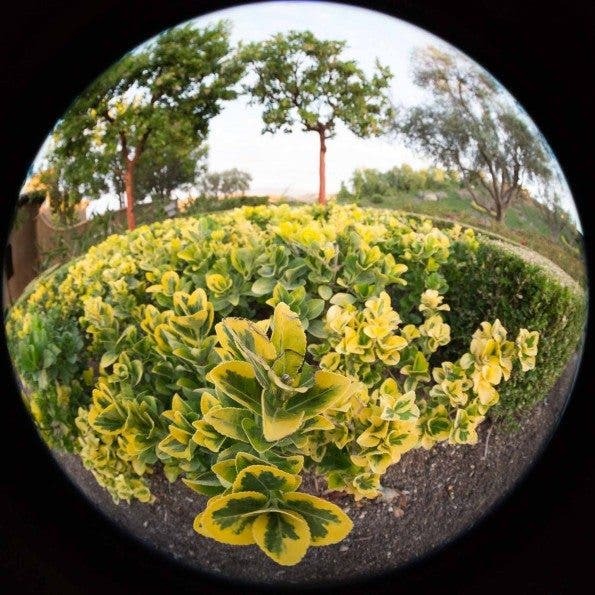 Head on past the break for our full review of the Sigma 8mm f3.5 EX DG Circular Fisheye (whew, that’s a mouthful!). 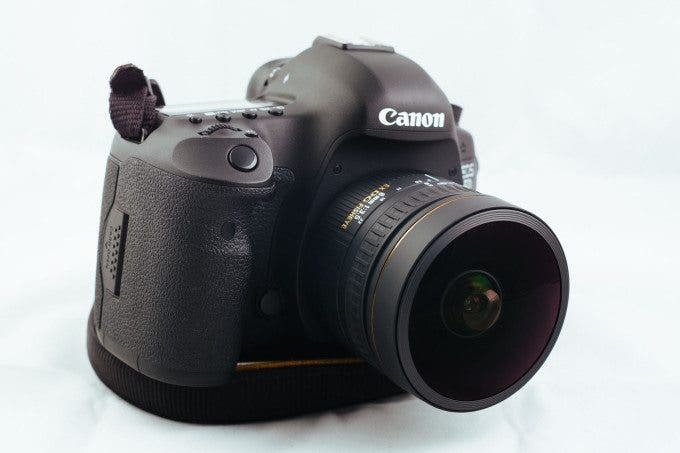 For this review, we used the Sigma 8mm f3.5 EX DG Circular Fisheye lens mounted on a Canon 5D Mark III body. This is a relatively small lens, but that big hunk of glass is completely unprotected once you remove the lens-cap and filter thread adapter. 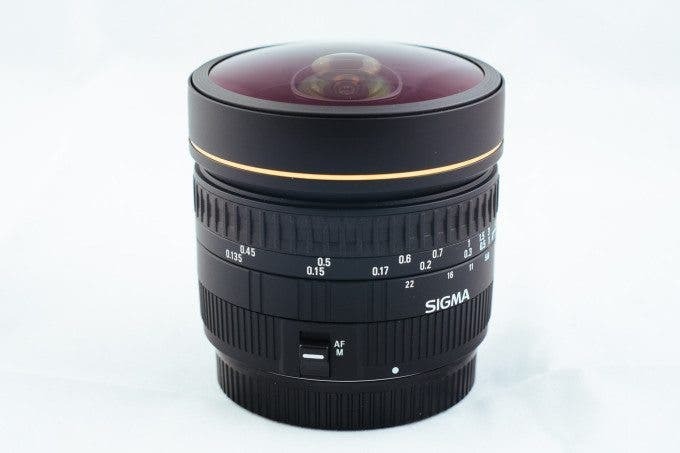 As a note, though Sigma calls it a filter adapter, I fail to see how it would be of any benefit as it causes even more vignetting on the already reduced circular frame. Please be sure to remove it. The focusing ring is really the the only part of the lens that will move around in operation, it has a working distance scale which is actually great because the depth of field on this lens is enormous, meaning you honestly don’t even really need to focus it beyond setting it for hyperfocal distance. 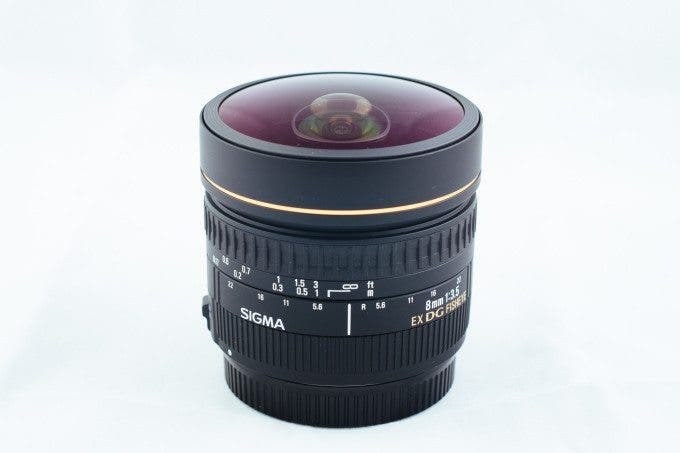 As this is not one of Sigma’s HSM or “Hyper Sonic Motor” lenses, you must first disengage autofocus if you want to manually focus this lens. All that requires is simply toggling the switch to M. Easy. On the rear of the lens you may notice what appears to be a slot for something. 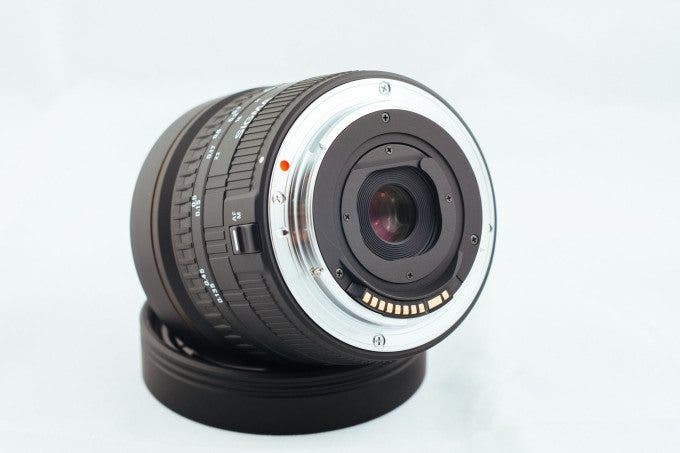 This is actually a sign of the age of this lens, in my opinion, as that slot is for gelatin filters which were used for color correction on film (most often). You could still use them today, and perhaps there’s even special effect ones available if you’re so inclined. 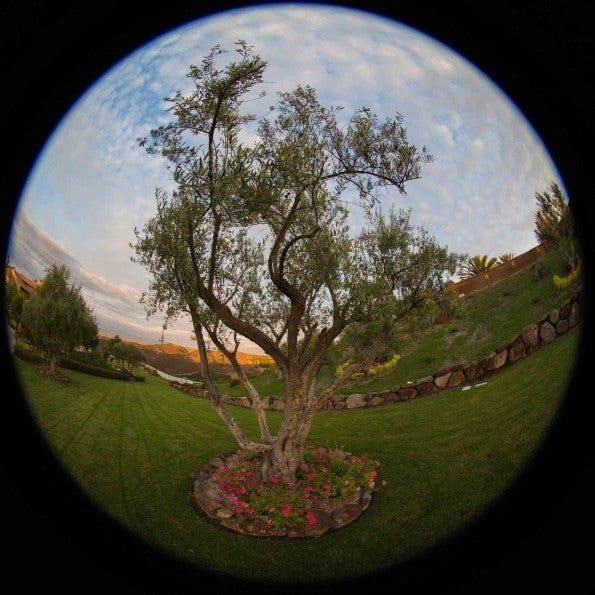 For the most part, lenses these days are typically constructed of solid plastics on the outside with various metals on the inside, and this Sigma fisheye lens is no different in that regard. 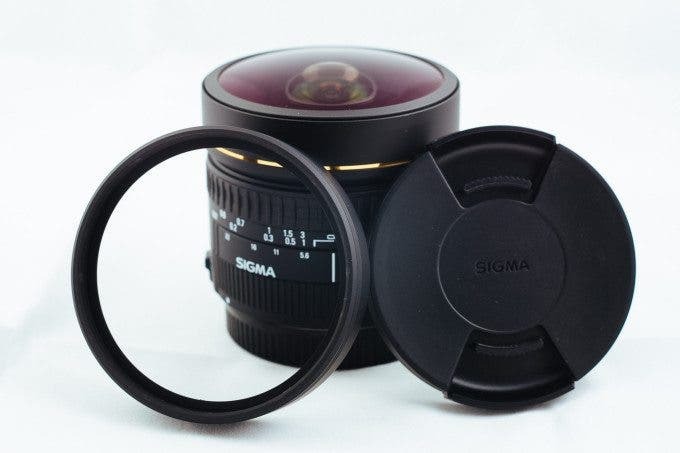 Constructed of quality plastics, it feels well-made in the hands, but this is definitely one of Sigma’s older lens designs as is evident by the ribbed focusing ring and the crinkle-finish on the barrel itself. Newer Sigma lenses did away with the crinkle, and moved to a newer style of focusing ring. 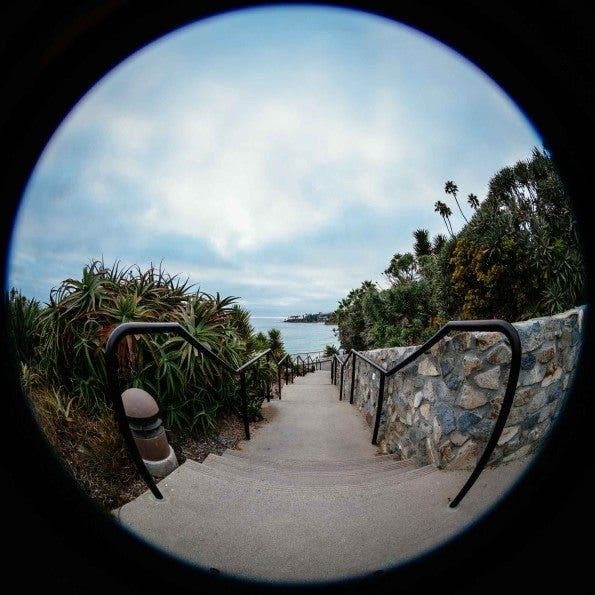 The new “Global-Vision” line of lenses is even more of a welcome departure from this old style. What that tells me is that this lens came about long-ago and has held on throughout the years without any significant changes in either its internal or external design. Do with that what you will. 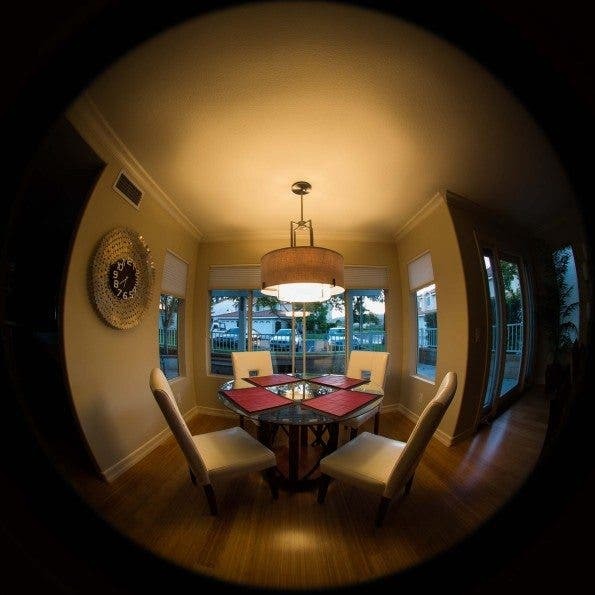 With such an extremely wide angle lens, focusing is literally almost irrelevant because of the inherently immense depth of field present with fisheye lenses. When the lens actually does have to acquire focus, it does so quickly and without fuss. In very low light situations, it does take an extra moment or two to lock onto a subject, but I attribute this to the not-so-fast f3.5 maximum aperture. 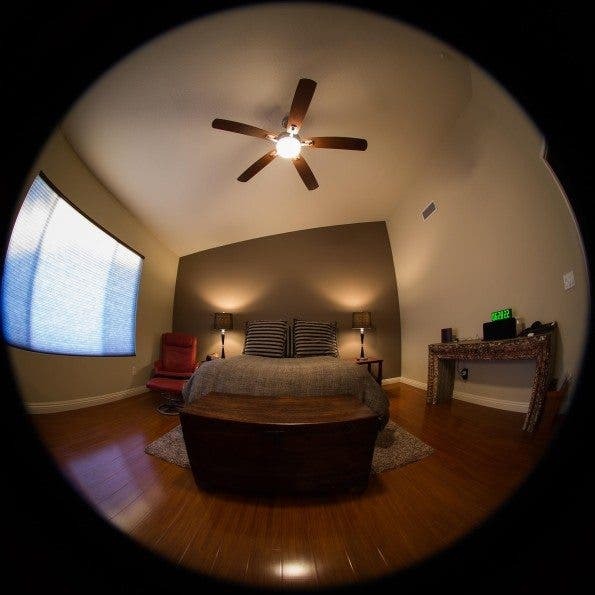 I have to fully admit that up to this point, my only experience with fisheye lenses has been of the full-frame diagonal variety, so working with a fully circular 180º angle of view was a real eye-opener. As such, I found it to be quite challenging to get effective images out of such a specialty lens, though that is not to fault it directly, as my own limited comprehension seemed to get in the way. One of the biggest things you need to be aware of when using such a lens is keeping your feet out of the frame, which proved to be most difficult with my size 13 pontoons getting in the way all the time. 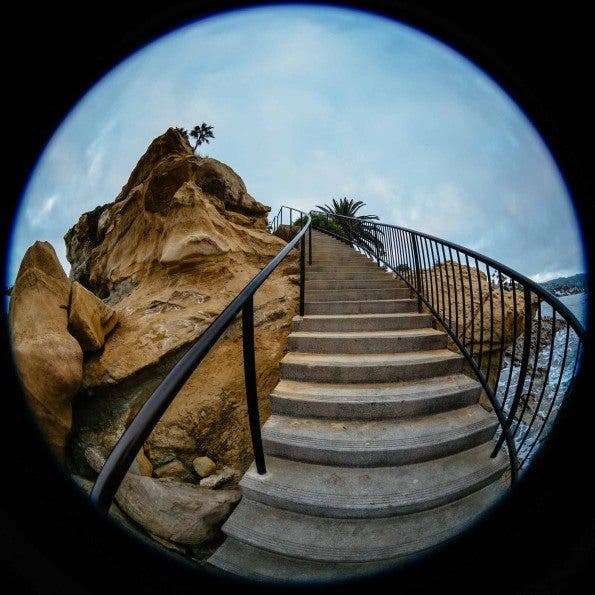 When in doubt, point this lens up. Well well, here we are the the part of the review everyone really wants to know about. I had expected to see images with a deep depth of field and adequate sharpness across the frame (which is a complete circle and does not actually fill the ENTIRE frame of your camera). From what I was able to discern, it would seem that the Sigma 8mm isn’t quite up to keeping up with today’s high-resolution digital sensors. On my 5D Mark III, I thought the center of the frame was decent enough, but overall, I have to admit that the rest of the image quality left me feeling a bit underwhelmed, particularly when Sigma produces such phenomenal lenses as the 35mm f1.4 Art, and 85mm f1.4 EX. Let’s be honest here, one does not mount a fisheye lens on their camera to produce wonderful bokeh filled backgrounds, BUT if you get as close as you possibly can to your subject and shoot wide open, then you might be able to get something that resembles bokeh, though it’s a far cry from the results one would see with longer lenses. 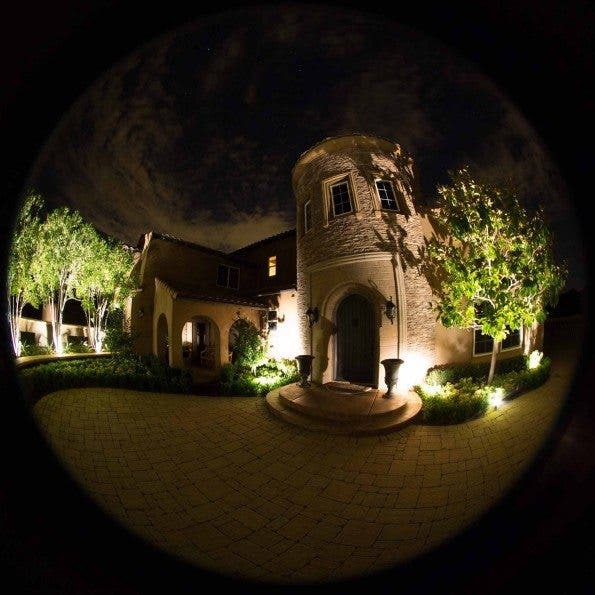 With a circular fisheye lens, the entire image circle is projected into the center of the frame, which results in an enormous black border surrounding the image itself. 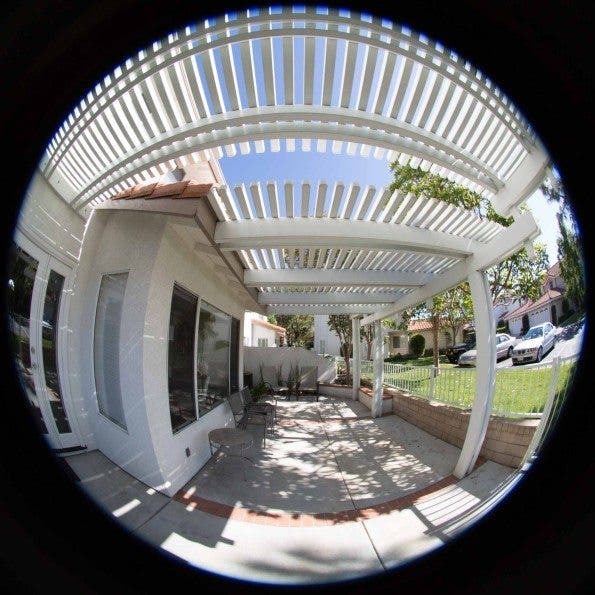 Because there literally are no “corners” when it comes to the images produced by this lens, we should see excellent sharpness across the entire circular frame. In the effort of full disclosure, I did not find this to be the case in all scenarios. The very center of the frame is very good wide open, but I found the overall sharpness to fall off pretty dramatically until about f5.6-8, but even then it lacks the “bite” that I’ve seen from more modern lenses. Unfortunately this lens most definitely suffers from color fringing. In almost every frame I took there is a very prominent blue ring surrounding much of the image and that nasty pink/purple cast will show up in high contrast scenes. This issue can largely be dealt with inside of processing software like Adobe Lightroom (version 5 does a great job at knocking out Chromatic Aberrations), but just be aware that it is most definitely going to be present and you will need to address it in post production. 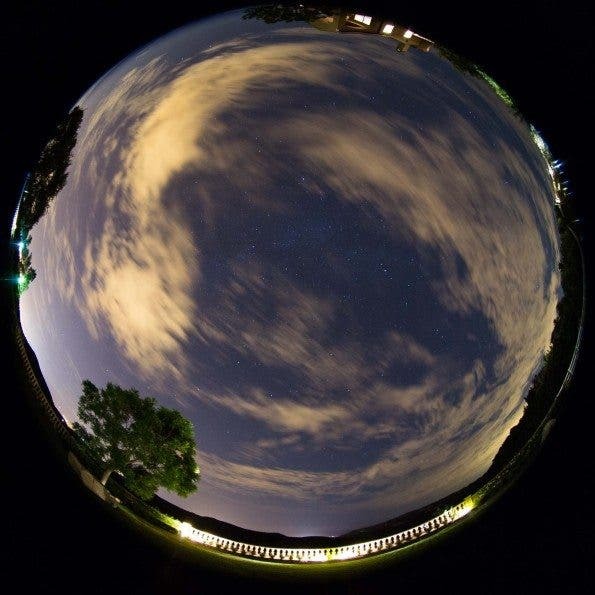 Well, this is a fisheye lens, and a circular one at that, so naturally it is going to have massive distortion. This is not to be considered a flaw, however, as it is part of the design of the lens itself. It actually is possible to “de-fish” the images from this lens and create a full-frame image, but the results are just massively smeared towards the edges and far from what I would call “usable.” Though I have heard you can use specialty software to do a better job, but this is something I have not had the opportunity to try out myself. The color rendering of this lens is actually a bit flat, it needs some massaging in post to really bring out vibrant colors, I can’t quite pin-point what would be the cause of this look, but Sigma has done a FAR better job with their more recent lenses (many of which we have reviewed here at The Phoblographer). I would call the colors it produces fairly neutral and without significant color casts, but as I mentioned they are relatively flat. It’s a quick fix in Lightroom, however, so I wouldn’t lose any sleep over that one. As I mentioned earlier in this review, up to this point I have only ever used full-frame diagonal fisheye lenses in my photographic career. This was an entirely new experience for me and a whole new set of challenges to figure out how the heck one gets usable shots with such a unique lens. I am always up for a challenge however so I did my best to be as open-minded as possible when using this lens. 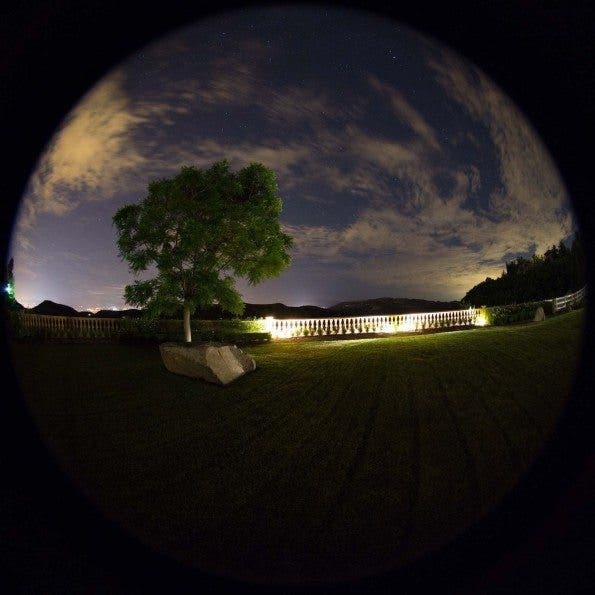 In the end though, I found the Sigma 8mm f3.5 Fisheye to be a lens clearly starting to show its age. It was clear to me that it couldn’t keep up with the 22MP sensor of my 5D Mark III, unlike Sigma’s excellent 35mm f1.4 A which I own and use on a very regular basis. 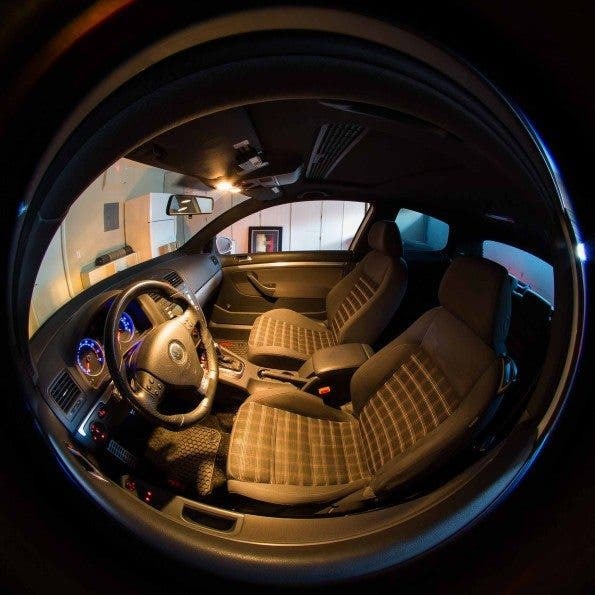 I appreciate it for being so uncommon, but unless you need a circular fisheye lens for special applications, I truly did struggle to find viable uses for such an oddball. Perhaps it could be a fun lens on film, or for goofy self-portraits with your friends, but overall, I didn’t see this ever winding up in my camera bag personally. Despite my findings and opinions, don’t let that stop you from trying one out for yourself! Our friends at Adorama regularly have these in stock, as does Amazon.